As we come to the end of another busy school holiday period, now’s the time you’ll likely notice some areas of your playground that need attention after heavy use over the summer. Here at PlaySmart, we can help with all of your playground surfacing requirements. We’re even happy to recommend the best products for fully installed replacements of your flooring, should you need to update the whole area. Alternatively, you might need a repair to an existing area of surfacing that’s seen extreme wear while the children have been off school, or perhaps just been in use for several years. Our expert knowledge in playground surfacing repairs means that we can advise on the best methods to do this without spoiling the look of the overall surface. 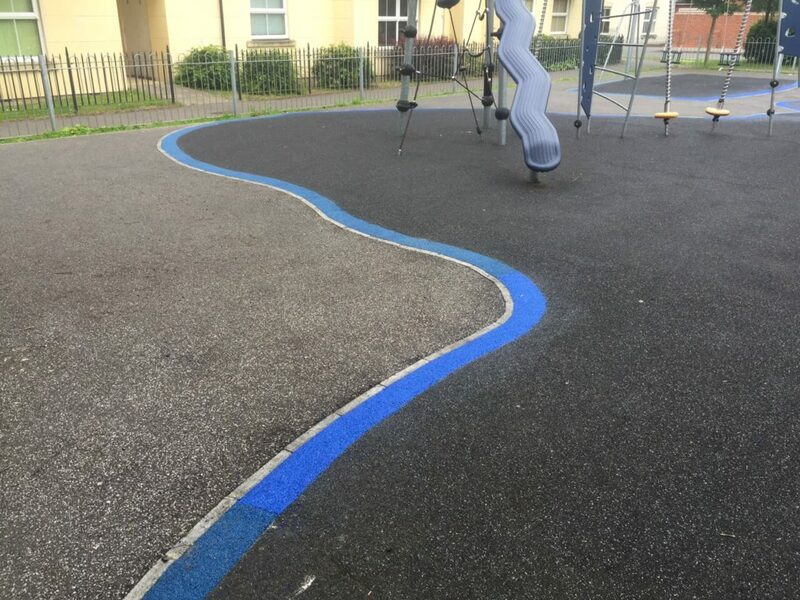 For example, the installation of contrasting coloured bands around existing wetpour which has shrunk with time, is a very popular solution to avoid the costs of a full replacement. During regular use of playgrounds in summer, problem areas become more obvious and PlaySmart is often asked for surfacing solutions that avoid expensive redesigns. A great example of this is the contrasting RubbaSmart slope used at Victory Park in Bristol to grade out uneven ground. Across the UK we’re also getting used to the effects of increasingly changeable weather throughout the seasons. Having seen torrential downpours across much of the country in July, you might want guidance on the best surfacing products and methods to prevent standing water, or counter the effects of varying ground conditions. Our SmartPlay System is becoming increasingly popular for use with grass mats as it counters many of the effects of poor ground conditions. Whatever your requirements, feel free to get in touch with PlaySmart to discuss further playground surfacing repairs. 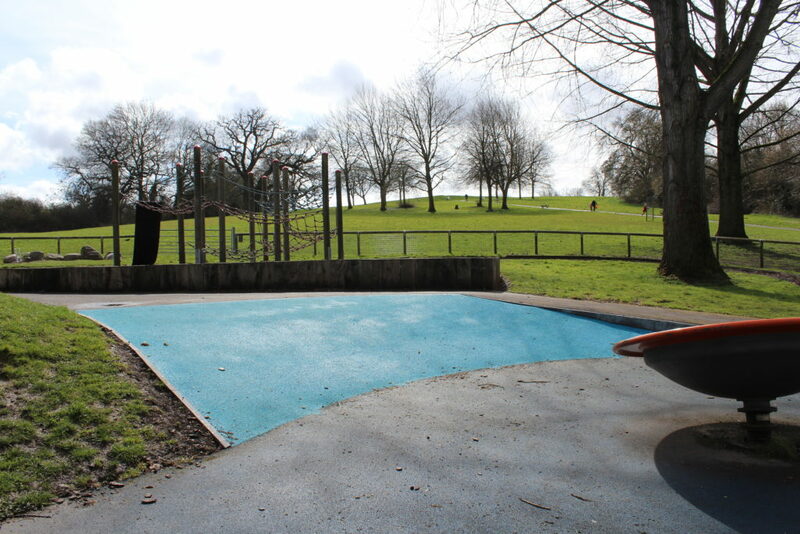 We specialise in playground surfacing and have been operating for over 12 years, meaning we’ve been faced with all kinds of problems on existing sites and have extensive experience in suggesting practical solutions.